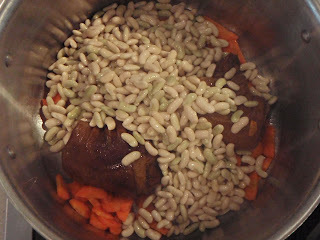 This soup is really easy and it is a hit with my kids. 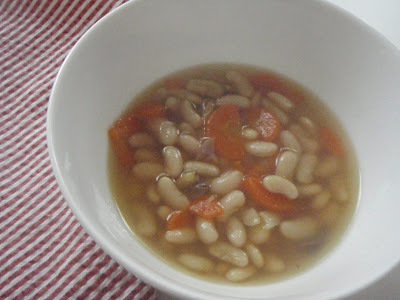 Any kind of white bean will do for this recipe. I have made this on the stove many times, just let it simmer for hours. 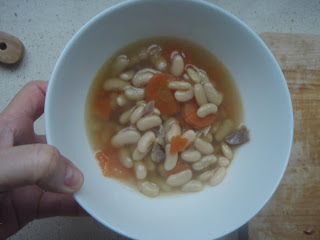 The taste was great but the beans didn't keep their shape very well. 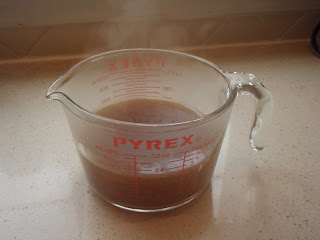 I decided to try the America's Test Kitchen (Cook's Illustrated) method of soaking the beans in salted water overnight and then cooking the soup in the oven for several hours. 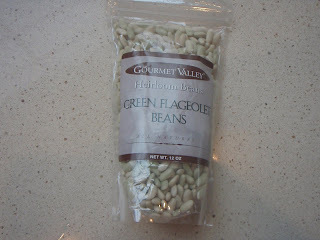 This did indeed keep the beans from falling apart! Love it! Put 3 Tablespoons kosher salt into a large bowl or container and pour in 4 quarts of water. Mix with a large spoon until salt is dissolved. 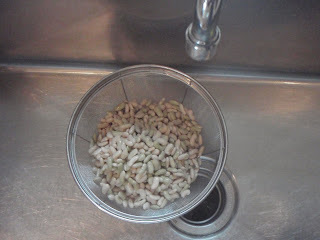 Rinse beans under cold water and remove any stones or dirt. 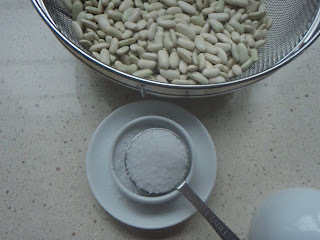 Add beans to salted water and soak (at room temperature --do not refrigerate) for at least 8 hours and up to 24 hours. 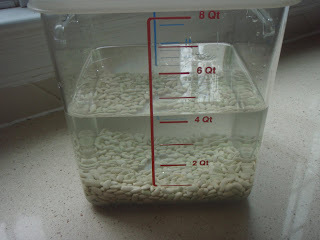 Drain beans from salted water and rinse beans under cold water. Set oven to 250 degrees. 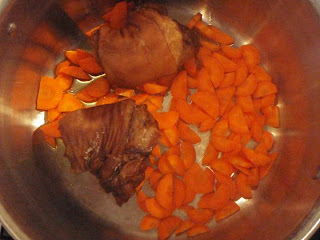 Heat oil in a large pot over medium heat and saute' ham hocks and sliced carrot for about 4-5 minutes. 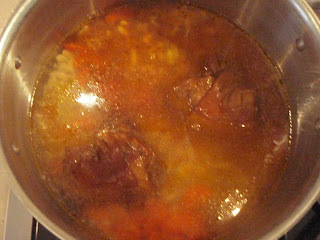 Add beans, water, and chicken stock (make sure liquid covers the ingredients) and bring to a boil. 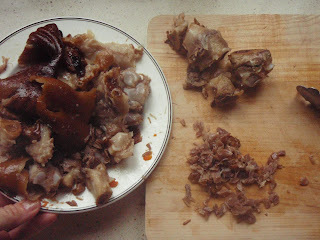 Cover and transfer pot to oven and allow to cook for 3 hours. Remove pot from oven and taste to see if any salt is needed (you shouldn't need any). 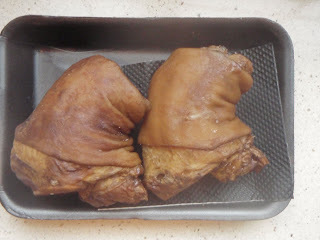 Remove ham hocks with tongs and allow to cool slightly on a plate --until you can handle them without burning your fingers. 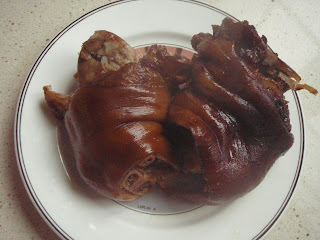 Remove any meat from ham hocks and add this meat to the soup. Serve soup with a big slice of crusty bread --don't forget to butter the bread!